Made In The Shade Blog: Puppy Dog Treats! Really, tell me how I am supposed to say no to that face?! This was taken last year at Christmas when I was baking sugar cookies. Does your puppy beg for food? Does he eat his treats in one gulp and then look for more? Does he eat your Harry Potter DVDs? (See exhibit below). Well my dog does. I am constantly looking for new ways to entertain him and keep him busy. He loves puzzles for treats. So by trial and error and some research, I have found a treat that keeps him busy and is healthier than a lot of options out there! I am against filling it with that stuff kong sells in a metal bottle with a squirt top on it. That can't be good for them. I recently found on article on pinterest that tells recipes to put in your dog's kong toy. This is a kong for those of you who aren't dog lovers. You fill it with treats to keep them busy! The treats on this site are supposed to be a healthier option, and easy on the dog's belly. Here are a few options that I know Ollie will love! You can read the whole article here. It gives more details and helpful hints! FYI, I have found that making the treat and then freezing it makes it last so much longer! 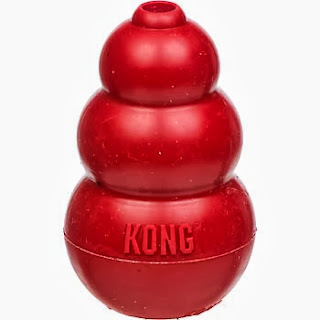 For a meaty treat, fill the kong with a small amount of normal kibble, a teaspoon of meat paste, and a chunk of banana. For a pumpkin pie treat (my fav with it being fall now), fill the kong with pureed pumpkin and peanut butter. For a sweet treat, put boiled white rice, peanut butter, and mashed sweet potato in the kong. What do you like to put in your puppy's kong, or do you use something different? I think we are going to try the pumpkin pie treat first! Happy weekend! I don't have a dog, but I have a similar treat ball for my cat. It makes her work to get her treat, keeping her physically and mentally active! Also LOVE, LOVE the new blog look, so cute! Thank you so much! I had no idea cats had something similar! I have two dogs a lab and a mini yorkie and neither of them have been that crazy about their kong. My little dog would rather carry around her purses and my lab she's just so hyper she is always moving on from one thing to another. I haven't tried putting anything in the kongs, I feel like it would be such a mess, but the recipes sound so tasty and healthy I just might have to try one! I agree about the mess. Ollie does well with keeping it in the kitchen. Ollie is a very hyper lab too and he doesn't stick to his toys long. We got him a deer antler - I was very skeptical. But he loves it and it's like indestructible!! It helps calm down his hyperness! Misa loves her kong, we put peanut butter in hers and she really has to work for it which keeps her busy. We also put treats in the empty cardboard protein drinks (after we wash out the remnants) and close it up, another little game for her! Such a great idea! Isn't it funny what we do for our fur-babies? YESSS! loving this pup post, girlie!!! That first picture is heart melting! I've wanted a dog for so long but my family thinks that its too much of a responsibility. Well maybe some day! I'll check out your blog too! Becky, I just found your blog and it's adorable!! I love your outfit in your profile picture, too :) I followed you- if you're interested I'd love it if you could follow me too! Can't wait to see more! Thank you so muh! Yes I will come check out your blog and follow too! Same for Ollie! It's the only indestructible toy! cute post!! i love dogs too though i dont have one!! Thank you! I will check out your blog! Thanks for the comment! A Kong is the only kind of toy that my dog can't destroy! He loves it filled with peanut butter! Ollie is the same way! Seeing these always makes me prefer my cats to dogs :) haha. Dogs can be cute but i'm MUCH more of a cat person, they're very much harmless! I think we all might! I'll check out your blog! Your dog is sooooo cute! I have the exact same toy for my dog :D he loves it! Thanks! I'm sure your dog is cute too! AW he's so sweet! I wish I was allowed a dog haha. He is a ball of energy for sure! I had never thought of doing pumpkin! I definitely do not know how you could say no to that face - so sweet. 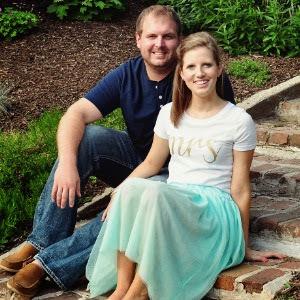 Really like your blog and glad we found it! I'm glad you commented because I looked at yours too and I love it! I don't have a dog, but I do have a kitten that acts like a dog! I wonder if he would like this... haha! Haha that's funny! Another blogger commented and said she has a similar toy for her cat and that it works great! And if you follow the link, there is even one for sensitive bellies! Your Ollie sounds like my Pixie! As soon as you give her a new toy it's like she has to demolish it. And she's incredibly food motivated. I've seen her sit so fast when you bring food out. And if you give her treats she always wants more. She's crazy! I bought her the black kong that's supposed to be extra tough and she chewed it all up. Ugh it's so difficult finding toys she won't chew up!! I agree! It's crazy how fast they can destroy something!